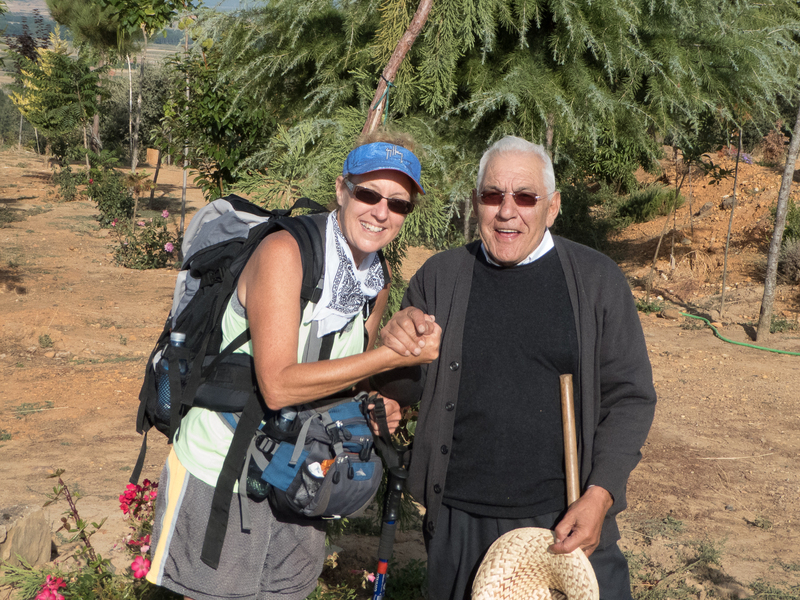 September 24, 2016: Camino Completion ~ third time’s a charm. 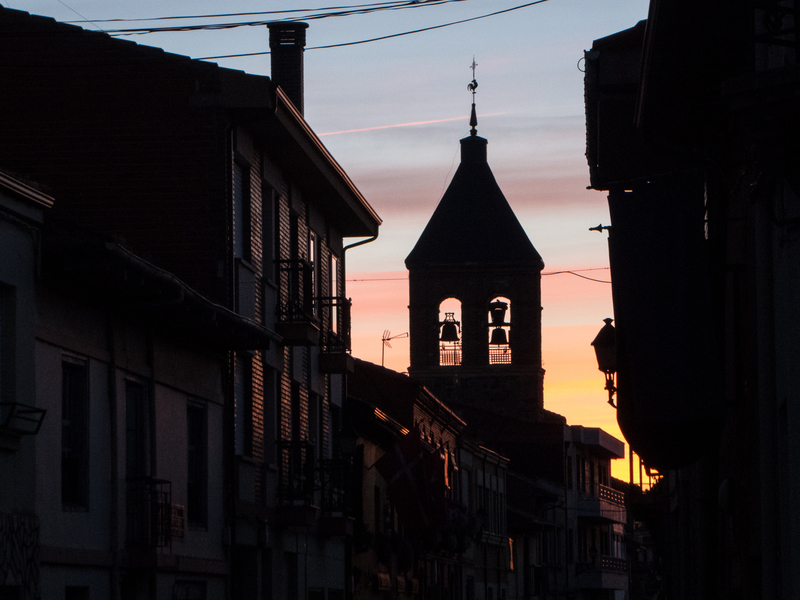 Another dot is connected as we walk into Astorga, Spain. 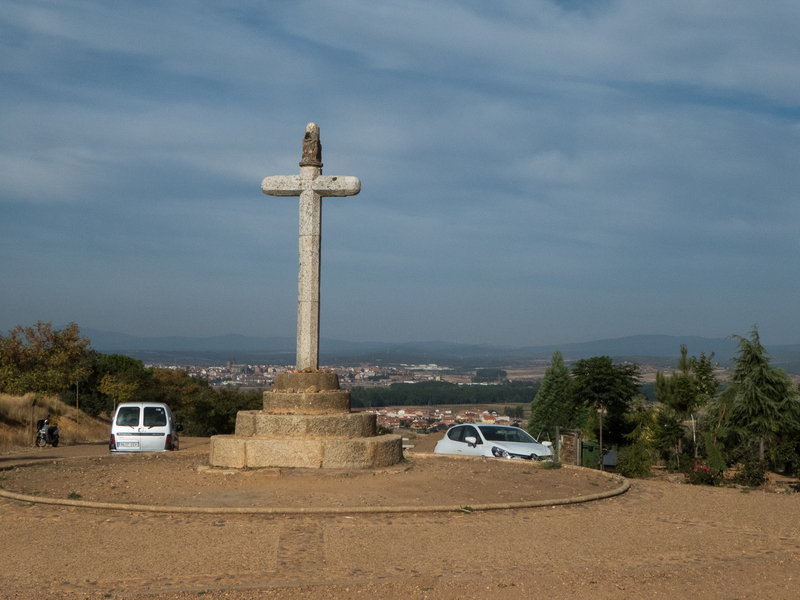 Cruceiro Santo Toribio is a stone cross that commemorates the 5th century Bishop Toribio of Astorga who supposedly fell to his knees here in a final farewell having been banished from the town. 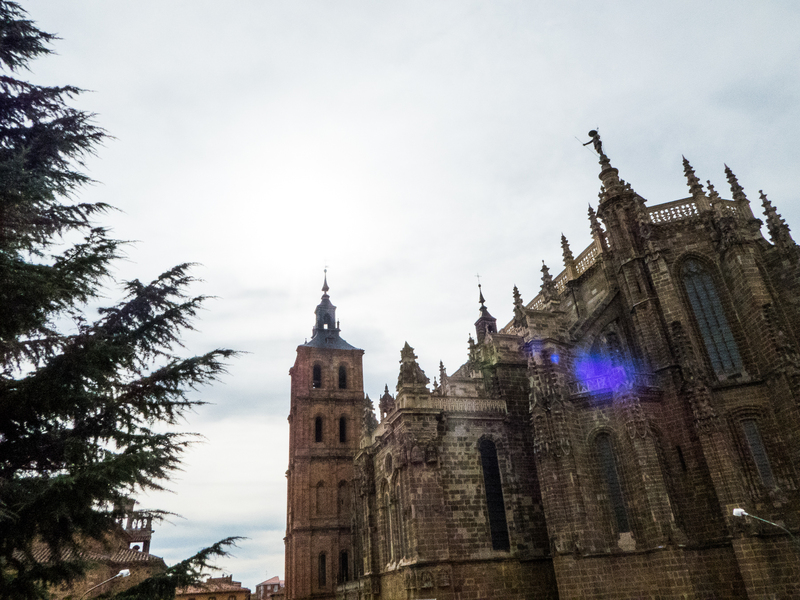 Wonderful view of the city of Astorga with the mountains looming in the distance. This gentleman has welcome wagon duty today along with tending to the flowers and shrubs near the stone cross. 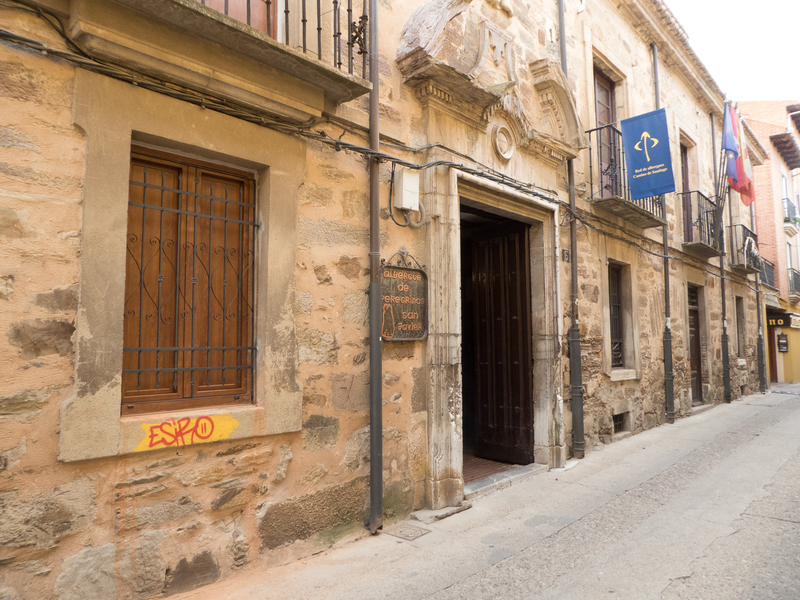 Tonight we sleep in the loft of a very old building, Albergue de Peregrinos San Javier located on a narrow street near the cathedral. 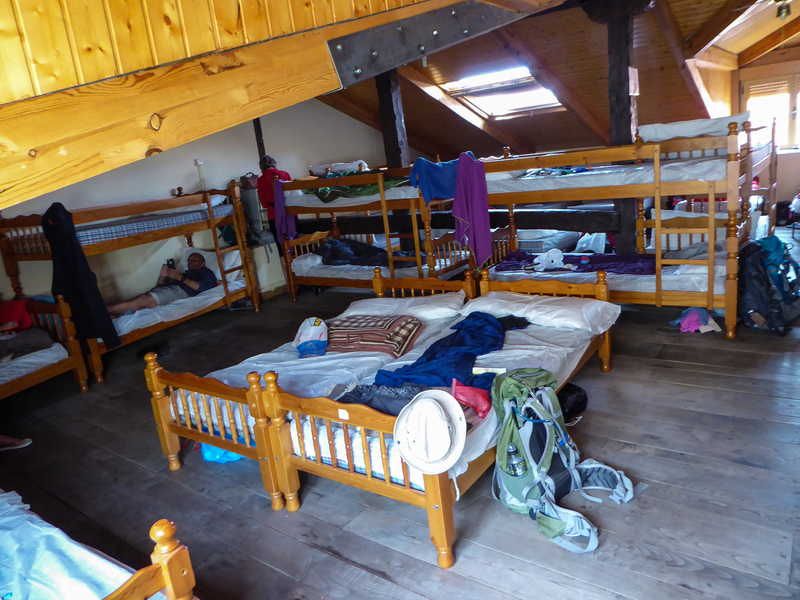 110 beds and we are up three levels in the top loft area. As you can see, we both get a front and center bottom bunk tonight surrounded by our international roommates. Friendly conversations are a bonus to this situation and we experience absolutely no bedbugs. A full kitchen is on the bottom level of the building so we are able to cook our own meal tonight and converse with other pilgrims doing the same. Flashlights are close and ready for action in case we need to walk down the dark staircase during the night to a lower level to use the facilities. 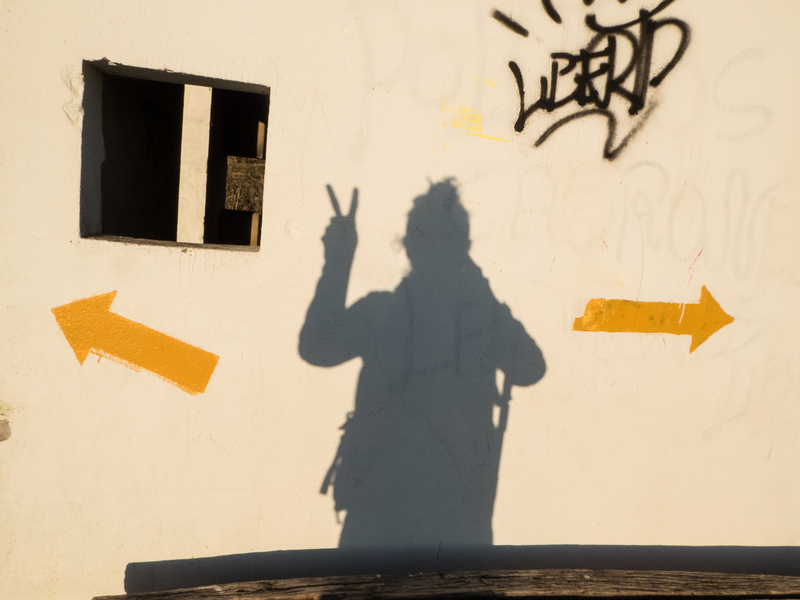 Watch to the end of the video on this blog post and you will take a walk with me from top to bottom of the albergue. I’m glad there wasn’t a fire during the night because we would surely have been toast. 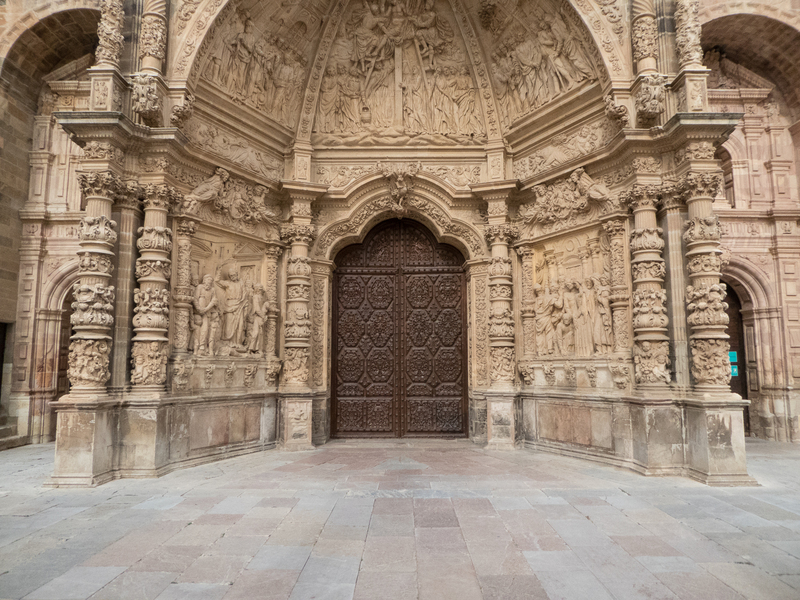 Inside these doors… Astorga’s cathedral was built between the 15th and 18th centuries and combines various styles including Gothic and Baroque. 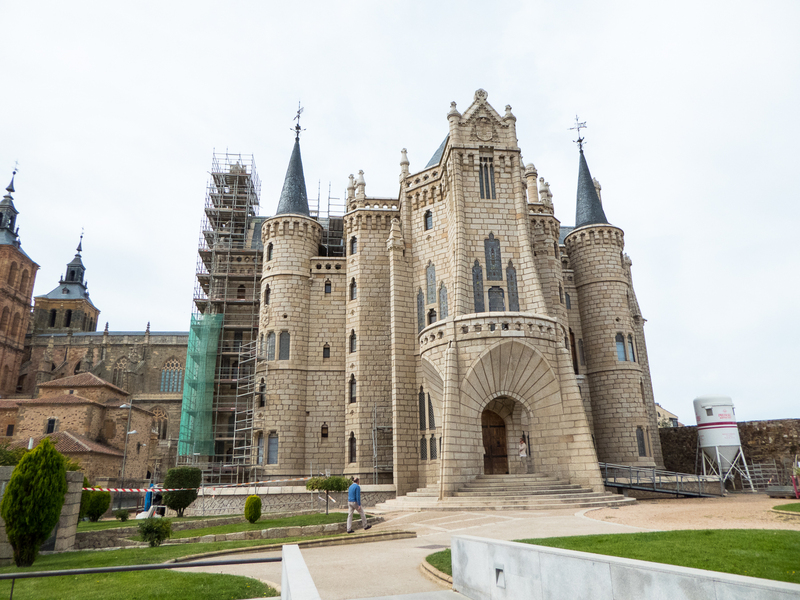 We were not able to visit Museo Chocolate also located in Astorga, Spain. 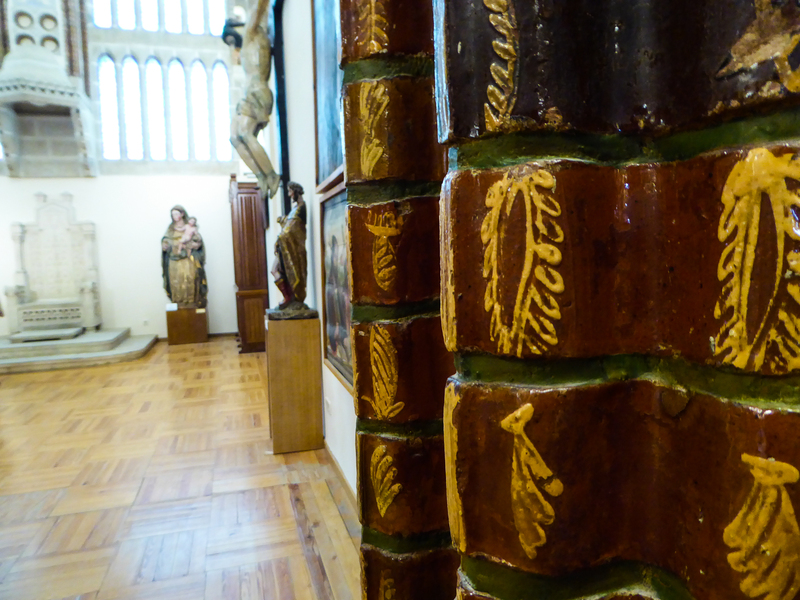 Here you can see a display of tools and objects that represent the history of chocolate production: instruments for roasting, refining and rolling, as well as pans, mortars, moulds and machines from the early 19th century.